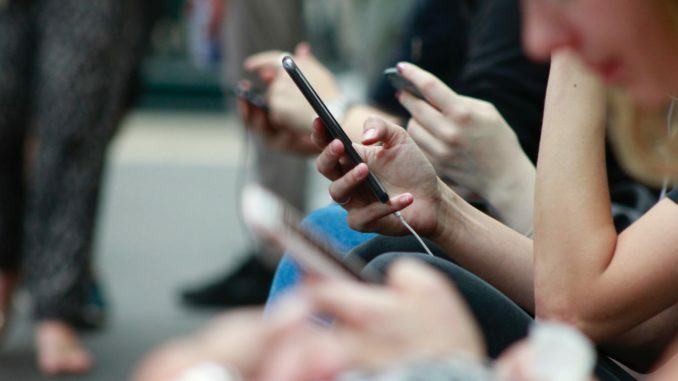 The NHS has, thankfully, concluded that mobile phones pose no risk to our health – which is good news as we’re addicted to them as a nation, checking our phones, on average, once every 12 minutes. We all know about the dangers of using the internet, but how many of us take the same care and consideration with our phones? One of the easiest ways to protect against cyber-attacks is to keep up-to-date with OS updates. If your phone (or computer) prompts you to update to a new version it’s always a good idea to make time to get the update installed. OS vendors are often quick to get security updates out to their users as soon as vulnerabilities are identified and being on the latest version can save you from attacks that use older vulnerabilities, like Wannacry. Another good defence against ransomware is to keep all your data backed up regularly. Ransomware works by getting into your system and locking everything down, encrypting your data so you can’t access it anymore and charging you hundreds of pounds to regain access. If your data is all backed up then you lose nothing and can just wipe your system and reinstate your backup as if nothing happened. Those backups need to be separate from your system, of course, otherwise they’ll also get encrypted by any ransomware, and be useless. Cloud backups are great, but backing up to an external hard drive can work well too, so long as you don’t keep this connected to the system! A good rule of thumb is not to trust public wifi; if you’re in a coffee shop, or similar, be careful what you’re doing whilst connected to it. It’s generally ok to browse the internet on public wifi but don’t do anything security-critical, like mobile banking, as your details could be stolen – and, subsequently, your money. If you are accessing confidential work emails through your mobile, as many of us do, you could find that important patient-sensitive data is compromised. Similarly, logging into Facebook or your email might not be advisable on public wifi as those login credentials could be stolen. All it takes is poor network security and a hacker taking control of that network – or even just a hacker making their own public wifi that looks like it might belong to the coffee shop you’re sitting in. If you connect to their network then they can see everything you’re sending to and from the internet, even injecting their own queries and responses to alter what you’re seeing and doing, so they can, effectively, have full control over your browsing. Encrypted communications (e.g. HTTPS instead of HTTP, often shown with a padlock logo in your browser’s address bar) can help prevent against these kinds of threats as it can stop attackers from seeing the contents of your communications (so called ‘man-in-the-middle’ attacks). This encryption helps keep us safe – and protected under EU law – which raises questions about what happens post-Brexit. Something that’s incredibly common on android is ‘sideloading’ apps. This is when you install an app from a source other than Google Play, such as directly from a website. On android you have to disable a specific security option in the settings to be able to do this and, while the act of doing this is not dangerous, you can very easily be tricked into installing a malicious app that, on the face of it, looks fine but, behind the scenes, could be stealing your data, login credentials, recording your conversations and more. iOS is a much more restricted operating system- which benefits the security and privacy of its users – but malicious apps can still trick you into entering information under false pretences, so be aware. The key to staying safe on your mobile is to remain vigilant. You may not spot the threats, but they are out there. Thankfully, as the tips above demonstrate, staying protected is a relatively simple process – but it never ends. Hackers are always looking for new ways to access your mobile and your data; don’t give them the chance.